In April 1884, Bolivia signed a treaty ending the War of the Pacific, granting Chile 240 miles of coastline – and Bolivia’s only outlet to the sea. More than 130 years later, Bolivia’s government has taken Chile to the The Hague to reclaim access to the Pacific. Bolivia won the right to argue its case before the court in late 2015, and the two countries delivered their final arguments this month. 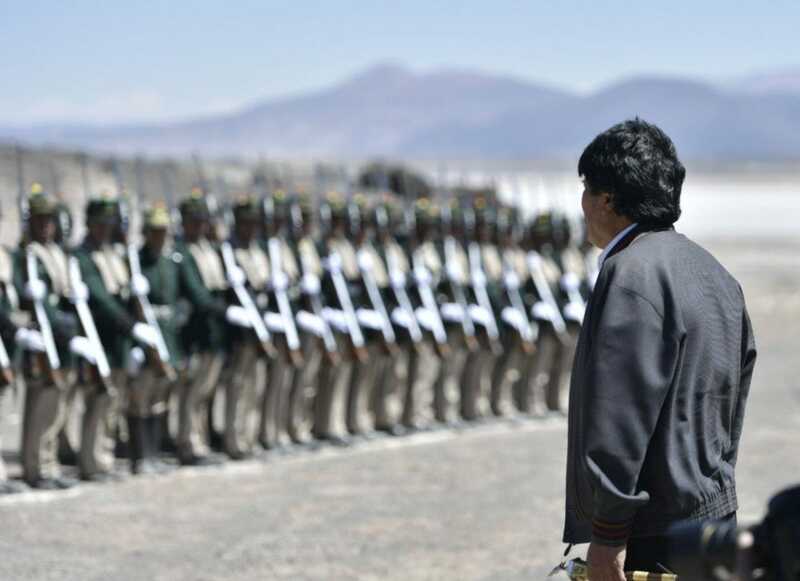 On March 28 – the day Chile made its final statement to the court – Bolivian President Evo Morales led his country’s army in a recreation of its 1879 victory at the Battle of Canchas Blancas. Chile has argued that previous treaties settled the matter, telling the court Bolivia wants “to force Chile to negotiate in perpetuity until its obsession is fulfilled.” Some Chilean historians have argued the battle never actually happened. Below, you can see how Bolivia recreated a victory in a war it’s still contesting today. The War of the Pacific sprung from competing claims over a mineral-rich portion of the Atacama Desert, over which Bolivia, Chile, and Peru all claimed control. The three countries had claimed the area since they gained their independence from Spain in the 1820s, and a tax dispute prompted the war in 1879. The Battle of Canchas Blancas took place in western Bolivia on November 12, 1879. According to the recently discovered diary of a Bolivian colonel, several hundred Bolivian soldiers, peasants, and indigenous people armed with machetes, clubs, and stones defeated a force of about 1,500 Chilean soldiers backed by cavalry and artillery. “Our Indians and soldiers saved the fatherland,” Morales said at the reenactment, lamenting the “Chilean oligarchy” that he said was holding on to a “colonial mentality” about the war and its resolution. Soon after its defeat at Canchas Blancas, however, Chile gained the advantage, occupying Lima, the Peruvian capital, in 1881. By 1883, Peru had left the conflict, signing a peace deal. Bolivia signed a peace treaty with Chile in 1884. Its quest to regain access to the sea would lead it into another conflict a half-century later: the brutal Chaco War, in which Paraguay rebuffed Bolivia’s efforts to reach the Atlantic via the Rio de la Plata river system. From the conflict, Chile gained what are now its three northernmost regions, whose resources supplied Chile most of its government revenues for the next 40 years. Bolivia lost more than 46,000 square miles of territory, including the copper-rich Antofagasta region. Peru lost vital resource-rich provinces in its south, though it gained some territory back in 1929. Bolivia, which maintains a navy, has not relented in efforts to regain access to the sea, a campaign that has strained its relations with Chile. The two countries have not had full diplomatic relations in decades. 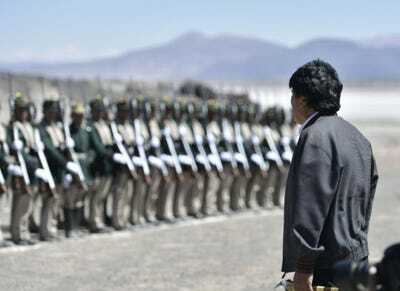 Evo Morales/TwitterBolivian President Evo Morales presides over the reenactment of the Battle of Canchas Blancas, a Bolivian victory in the War of the Pacific, March 28, 2018.